Dr. Kathleen began her career in veterinary medicine in 1992 after graduating from the former Centralia College of Agricultural Technology, in Huron Park Ontario with a diploma in Veterinary Technology. She worked as an RVT in a 7-vet mixed animal practice in Cambridge Ontario until 1996 when she continued her studies at the University of Guelph. After graduating with her Doctor of Veterinary Medicine from the Ontario Veterinary College in 2003, Dr. Kathleen joined a mixed animal practice in Blyth, Ontario. Although she enjoyed working with farm animals, Dr. Kathleen soon decided to concentrate on companion animal medicine and surgery. She became the proud owner of the Seaforth Animal Hospital in 2008. Dr. Kathleen participates in regular veterinary continuing education in order to stay current and bring you the best health care recommendations for your furry family members! Dr. Deb has been helping us here at the clinic with her expertise since just after the Fall of 2016. Dr. Deb travels several times a week from her home in London Ontario. Dr. Erica is on Maternity leave! We will miss her greatly and we cannot wait to meet the newest addition of the family! Congratulations :) Will keep everyone posted on when the new bundle arrives! Dr. Erica Dickie has been working at Seaforth Animal Hospital as a locum veterinarian since November 2014. Dr. Erica is a compassionate and supportive team member who is passionate about client communication and education to ultimately help people help their pets. After finishing her Bachelor of Science at the University of Guelph, she completed her Doctor of Veterinary Medicine degree in 2011. Dr. Erica has enjoyed many different roles in veterinary medicine including working with boarded specialists in pathology and internal medicine during her schooling, ans as a locum veterinarian, practicing shelter and emergency medicine and surgery. To compliment her veterinary career, Dr. Erica is also a published author in three different vet journals. In her personal life, Erica enjoys spending time with her family. She lives in Sebringville with her husband, Will, son, Reid and two cats Smokey & Porter. Loni graduated from St. Lawrence College in Kingston, Ontario in 2003 from the Veterinary Assistant program. 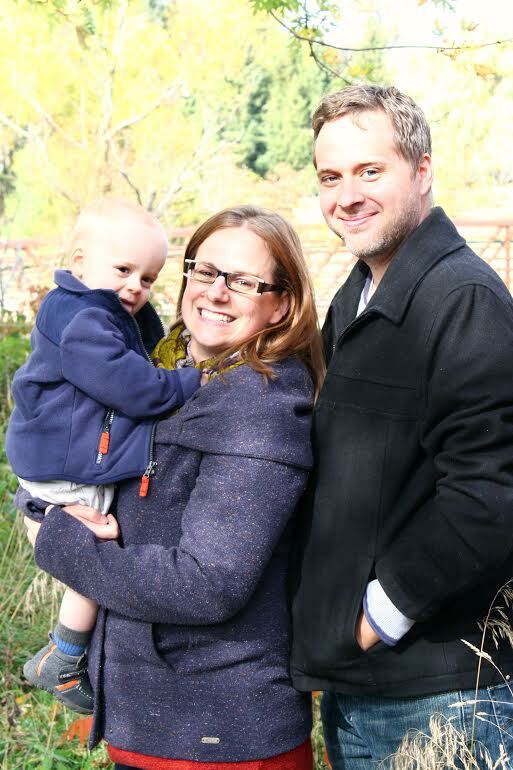 Loni, her husband Trevor, their 4 year old daughter Hannah and 1 year old son Lorne live near Staffa on a small farm consisting of horses, laying hens, a pot belly pig, Ladybug the hamster and Shady the cat. 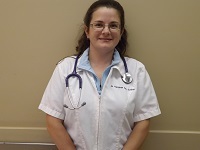 Loni has been with the Seaforth Animal Hospital team since March of 2009. At the clinic you can find Loni in her office doing tasks such as office management, inventory control, exam room assistant and assisting with surgeries. When Loni is not at the clinic she enjoys spending time with her family, camping and playing baseball, house sitting dogs and boarding horses. 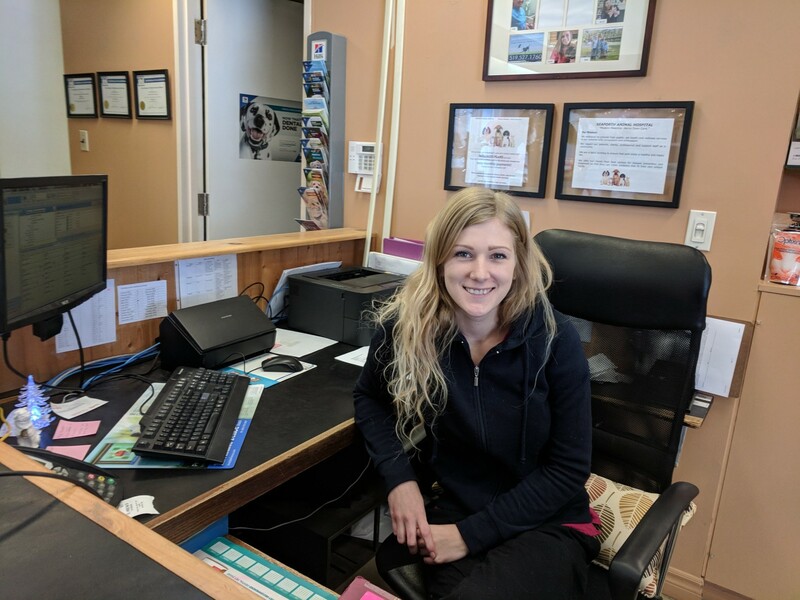 Olivia started with the Seaforth Animal Hospital by completing her one month work placement for the Veterinary Medical Office Administration (VMOA) program at the University of Guelph, Ridgetown Campus in April 2013, and has been with us ever since! At the clinic you will see Olivia mostly at the front desk, answering phones, or being the first friendly face to welcome you as you walk in. Olivia currently lives in Goderich, Ontario with her husband Tom, their daughter Isabella, their dog Brutus and cat Millie. When Olivia is not at the clinic she enjoys going for walks at the beach or around town, figure skating and spending time with her family. Olivia is on her second mat leave! We will miss her greatly and cannot wait for the new little bundle to arrive! Good luck Olivia and we will see you soon! 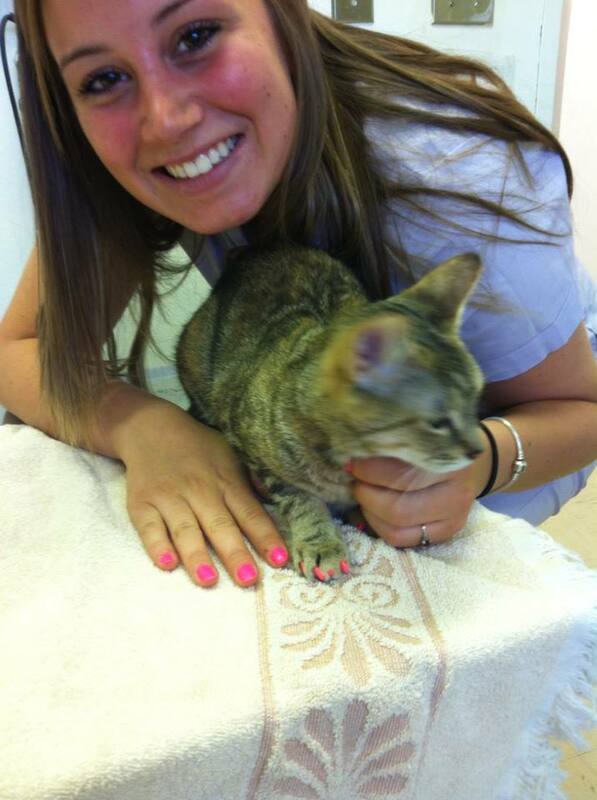 Tania graduated from the Veterinary Technician program at the University of Guelph, Ridgetown Campus in August 2004. She is a new 'country girl', as she grew up in Kitchener. 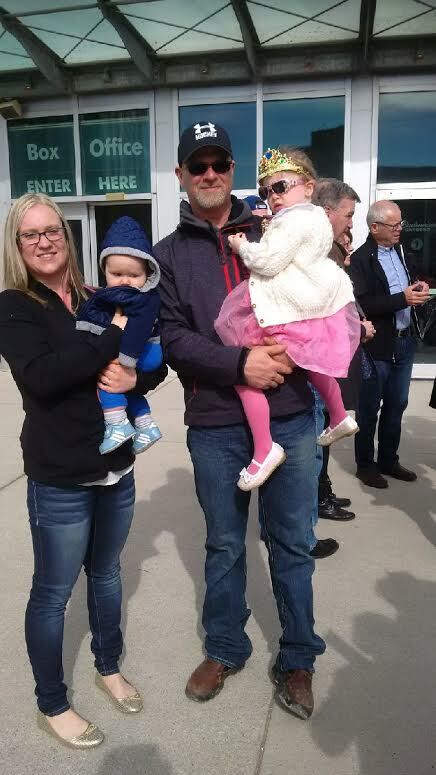 Tania, her husband and 3 children recently moved to Huron County to live on her husband's family home farm. 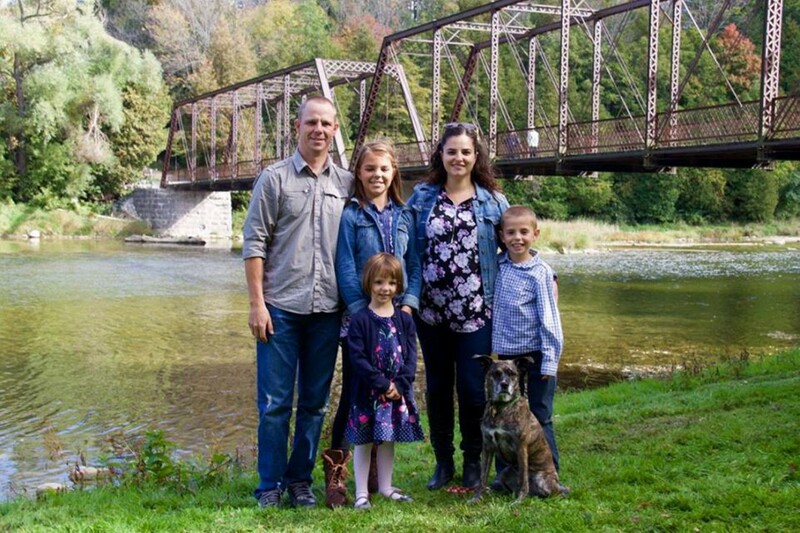 Tania loves to take advantage of lakeside living with frequent visits to the beach with her children, camping along Lake Huron, snowmobiling and snowshoeing. She currently only has one dog and cat, but is eager to fill her home with more 4-legged family members! "Becca Southwell has been a Pet Groomer for 4 years and received her training through Petsmart. She has also learned a lot on her own as well. Becca loves helping animals to look and feel their best, using only all natural products! She was born and raised in London, Ontario and now lives in Stratford. She has always been an advocate for animals and ran a Rabbit Rescue for 3 years. She herself has 2 Pomeranians and 2 Rabbits." 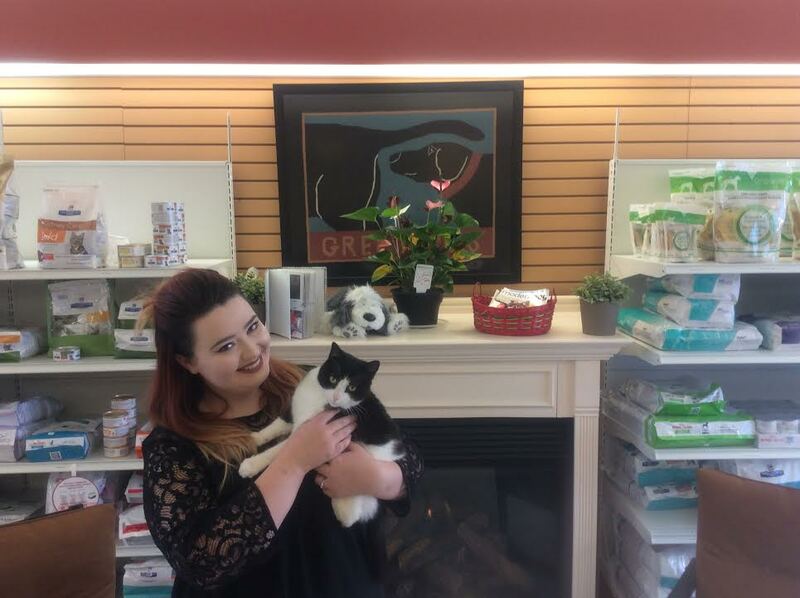 Cassidy graduated from the University of Guelph, Ridgetown Campus, Veterinary Technician program in June 2017. She has lived in Huron County all her life and currently lives in Clinton Ontario with her cat, "Raz". Cassidy looks forward to someday having the time and space for a canine companion as well. At the clinic, Cassidy works mostly at the front desk but she also does tasks such as exam room and surgery assistant. When not at the clinic she enjoys pretty much any outdoor activity as well as spending time with her family and furry friends.